The Grange School maintains this website www.grange.org.uk ("the Site") and the information and materials on the Site ("Content"). Disclaimer. Whilst The Grange School takes care to ensure the accuracy of the Content, to the extent permitted by law, The Grange School assumes no legal liability for and does not warrant that the information contained on this website is accurate or complete, or that these web pages will be free from errors or that its availability will be uninterrupted and The Grange School hereby expressly disclaims and excludes all express and implied warranties terms or conditions not stated herein, so far as such exclusion or disclaimer is permitted under the applicable law. The Grange School excludes all liability to any person for any loss or damage caused by any errors or omissions, whether such errors or omissions result from negligence, accident or any other cause but this disclaimer is without prejudice to any claims for fraudulent misrepresentation, personal injuries or death. Restrictions on Use of Content. The Content of this website and all copyright and other intellectual property rights therein belong to The Grange School or its Content providers. You are hereby granted permission to access the Site and print a copy of the Content as a record of your visit. All other use of the Site and its Content, including modification, publication, transmission, creation of derivative works, incorporation into another web site or reproducing the Site or the Content (whether by linking, framing or any other method) is not permitted without The Grange Schools prior express written consent. If you are an existing The Grange School family, we will combine this information with information we collect on the Site and use it for the purposes described below. Electronic Communications. Consistent with the above Purposes, we may communicate with you via electronic messages, including email, text message, or mobile push notification to, for example: send you information relating to our school, including event reservation and waitlist confirmations and updates, receipts, technical notices, updates, security alerts, and support and administrative messages; and/or, subject to the Your Choices section, below, and/or applicable law, communicate with you about events, offers, promotions, upcoming events, and other news about services offered by The Grange School. We may disclose your information to regulatory authorities, courts, government agencies and other third parties where we believe that doing so would be in accordance with or permitted or required by any applicable law, regulation or legal process, to defend the interests, rights, and/or property of The Grange School or others, or to respond to emergencies. Information You Share Socially. The Site may allow you to connect and share your actions, comments, content, and information publicly or with friends. 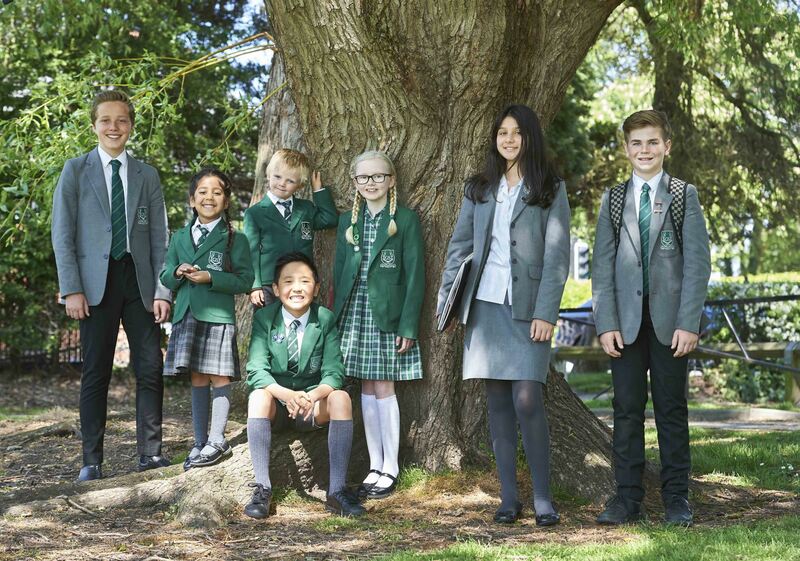 The Site may also allow you to connect with us on, share on, and use third-party platforms, including those on which The Grange School has a presence. Please be mindful of your personal privacy needs and the privacy needs of others as you choose whom to connect with and what to share and make public. We cannot control the privacy or security of information you choose to make public or share with others. The Grange School also does not control the privacy practices of third-party platforms. Please contact those sites and services directly to learn about their privacy practices. The Grange School takes commercially-reasonable technical, administrative, and physical security measures designed to protect your information from loss, misuse, unauthorised access, disclosure, alteration, and destruction. If credit or debit card account information is being transmitted to the Site or through the Site, it will be protected by cryptographic protocols. To be clear, The Grange School website does not itself store your credit or debit card account information, and we do not have direct control over or responsibility for your credit or debit card account information. We use third party payment processors that are the controllers of your credit card information. Our contracts with third parties that receive your credit or debit card account information require them to keep it secure and confidential. Nonetheless, we cannot guarantee that transmissions of your credit or debit card account information or your other information will always be secure or that unauthorised third parties will never be able to defeat the security measures taken by The Grange School or our third-party service providers. Except to the extent that liability cannot be excluded or limited due to applicable law, we assume no liability or responsibility for disclosure of your information due to errors in transmission, unauthorised third-party access, or other causes beyond our control. You play an important role in keeping your information secure. You should not share your user name, password, or other security information for your The Grange School account with anyone. If we receive instructions using your user name and password, we will consider that you have authorised the instructions. Storage of information. The The Grange School hosting operations are based in the UK and we store most of our data within the European Union (EU). Some organisations which provide services to us may transfer data outside the European Economic Area but we'll only allow this if your data is adequately protected. Some of our social media channels are provided by US companies and whilst it is our policy that we prefer data hosting and processing to remain on EU-based solutions, it may be that using their products results in data transfer to the USA. However we only allow this when we certain it will be adequately protected. (e.g. US Privacy Shield or Standard EU contractual clauses). Email. If you do not want to receive marketing and promotional emails from The Grange School, you may click on the "unsubscribe" link in the email to unsubscribe and opt-out of marketing email communications. Alternatively, to the extent that applicable law requires your prior opt-in consent to receive marketing and promotional emails, you can choose not to opt-in. Please note that even if you opt-out of receiving marketing communications from the Site, we may need to send you service-related communications, such as confirmations of any future reservations to our events. The Site may contain links to other websites or services that are not owned or controlled by The Grange School. This Policy only applies to information collected by the Site. We have no control over these third party websites, and your use of third party websites and features are subject to privacy policies posted on those websites. We are not responsible or liable for the privacy or business practices of any third party websites linked to the Site. Your use of third parties' websites linked to the Site is at your own risk, so we encourage you to read the privacy policies of any linked third party websites when you leave one of the Site.